A veteran journalist, author and activist says civil disobedience is one of the most effective ways to force politicians to protect the natural environment from the destructive effects of corporate-driven, resource extraction. 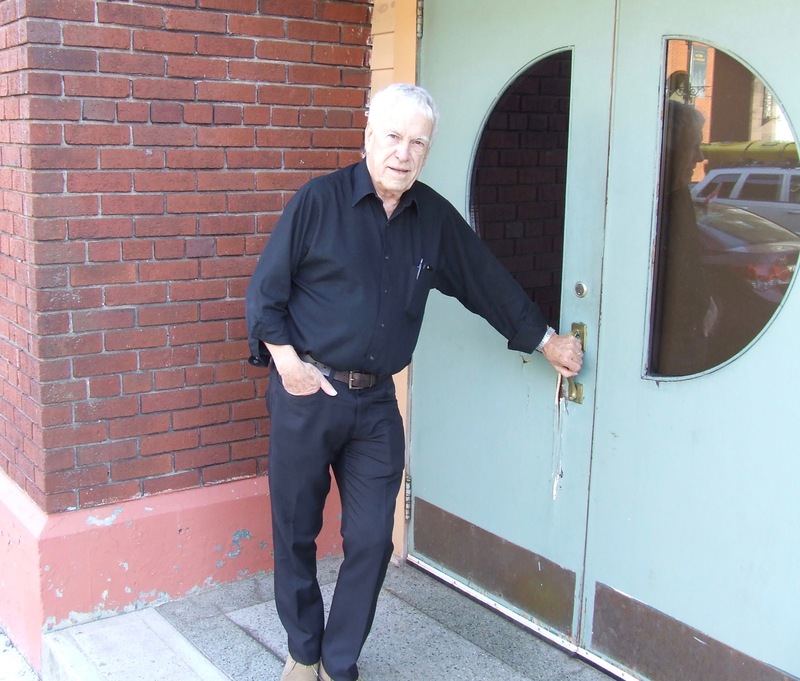 During a presentation last night at Sackville’s Vogue theatre, Silver Donald Cameron said he came to that conclusion after hearing some advice a few years ago in Shelburne, Nova Scotia. “A local politician said to me, ‘Look, you can write all the petitions you want and you can write all the letters you want and you can hold demonstrations, but nothing is going to happen until you’ve got people lying down in front of the trucks,'” Cameron told his audience of about 50 people. He said the strength of civil disobedience was demonstrated in New Brunswick in 2013 when a defiant alliance of Acadians, English-speaking citizens and Aboriginal people from the Elsipogtog First Nation defeated the combined will of an American-based fracking outfit, the Conservative provincial government and columns of armed, riot police. The Elsipogtog struggle is featured in the 67-minute film that Cameron showed at the Vogue as part of his presentation. The film, Green Rights: The Human Right to a Healthy World, was written and narrated by Cameron and directed by videographer, Chris Beckett. It reveals that in most of the world’s countries — more than 180 of them — citizens are legally entitled to clean air, water and food, but these rights are not legally guaranteed in Canada or the U.S.
During a question and answer period after the film, Cameron said the North American economy is heavily dependent on the extraction of natural resources and big corporations who influence politicians here, don’t want citizens to have green, legal rights. Cameron’s film features scenes and interviews from 11 countries where citizens and lawyers are fighting in the courts to enforce their legal rights to clean air, water and food. And in many cases, the film shows, they’re slowly winning. In Argentina, for example, the Supreme Court ordered the clean-up of the toxic Riachuelo River in Buenos Aires in response to a case launched by lawyers who argued that the environmental guarantees in the country’s constitution weren’t being respected. In the Netherlands, an environmental foundation backed by 900 citizens sued the Dutch state for not doing enough to limit the greenhouse gas emissions implicated in climate change. The court responded by ordering the government to cut emissions by 25 per cent by 2020. Cameron sees hope that Canada will join the worldwide movement to grant legal protections to green rights. He points out that in June, the Commons Committee on Environment and Sustainable Development, for example, called on the federal government to recognize and protect environmental rights including “the right to clean air and water and a healthy and ecologically balanced environment” as part of the Environmental Protection Act. He also points out that about 160 municipalities across Canada, including Sackville, have declared their support for citizens’ rights to a clean environment as part of the Suzuki Foundation’s Blue Dot movement. To watch a trailer for Silver Donald Cameron’s film, click here. This entry was posted in Environment and tagged Chris Beckett, green rights, Silver Donald Cameron. Bookmark the permalink.